We finally made it to Culebra! We got out on the boat Sunday morning with no plan other than heading somewhere and enjoy the sun and water. 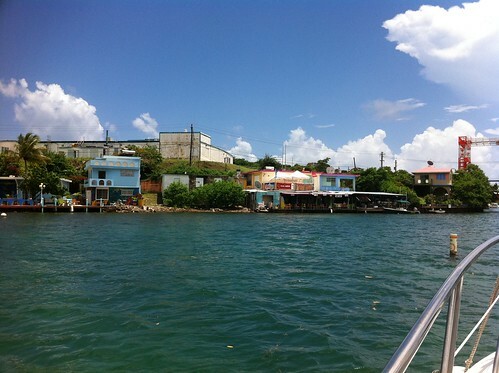 When we got out of the harbor, we decided the seas weren't that bad, and the forecast looked ok, so we headed west towards Culebra. We told ourselves that if it got worse once we got further out, we would head back. But it was just fine. We ran 20-22 mph the entire way, so it only took about an hour to get there. It was sunny the entire time but we were watching dark clouds gather north of us, south of us, behind us over STT, so as soon as we headed in the harbor, it started pouring! But it didn't last long, and before we knew it, the sun was back out. Our goal was to head to Mamacitas which is a cool little bar and restaurant. 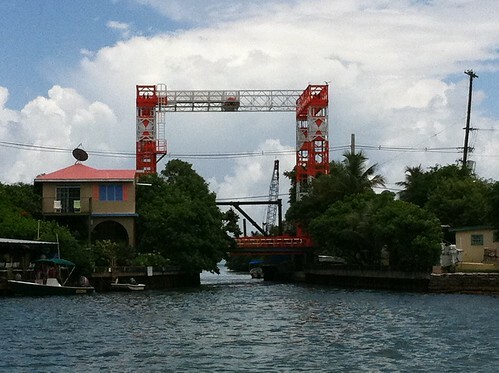 But they are located on a little canal and there is a bridge that goes over the canal. It's supposed to be able to move up to let boats under it but it worked one time, got stuck up and once they got it back down they've never raised it again lol. We were hoping we could fit under. We slowly approached, eyeballing the height, but the closer we got, we realized we weren't going to make it :-(. Our hardtop was about three inches to tall, bummer. But we were determined to get to Mamacitas. So we circled around the harbor, looking at docks, trying to decide where we could tie up. After about an hour, we finally found a place on the town dock. Whew! We checked into Customs via phone using our Local Options Boater card and walked to Mamacitas, just a couple blocks, an easy walk, and soon we were enjoying a cold Medella and awesome food. We had a great time and can't wait to get back so we can spend more time exploring. 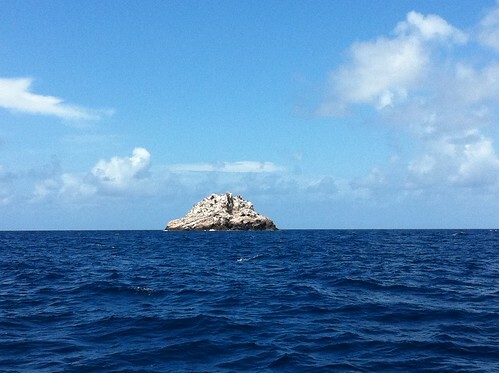 We made a quick pass by Culebrita on the way out. The Beaches look amazing, we definitely need to get back there. Then we made the slow track back to St. Thomas. The swells were about 5ft so we couldn't run like we did on the trip there. Only about 6 mph so it took quite a while to get back. But it was sunny the whole way, so no complaints here. Can't wait to get back! Glad you had some good weather to finally get over to Culebra - we absolutely loved it and hope to get back to spend more time there. 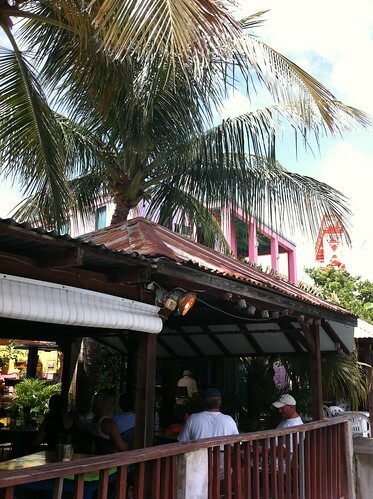 Gotta love Mamacitas - one of the best island hangouts we've been to! Not on the beach, but still tons of character, and great music the evening we were there. I love following your blog, it makes me feel a little more connected to the island when we can't be there - thanks for all the great posts! Crossing my fingers that the weather stays calm for the next few months - nothing too rough coming your way. 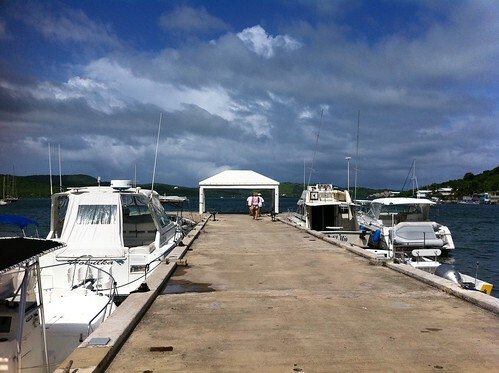 A good day Sunday for the end going to Culebra. 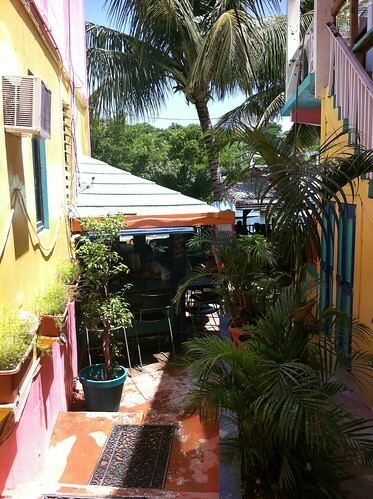 Right time - our goal was to head to Mamacitas a bit 'of trendy bars and restaurants. But you have a small canal and a bridge over the canal. Should be able to move up to leave the boat on it, but it worked once, got it stuck and once you get that back ever, I rose again. I enjoy following your blog makes me feel 'a little more connected to the island where we can be there - thanks for all the wonderful places! I cross my fingers that the weather stays calm for the next few months - nothing too harsh coming your way.